Girls and boys have always grown up with cultural and societal stereotypes swirling around them. Despite the unparalleled access to opportunities that young women have today compared with the past, many are still absorbing strong messages about how they should look, act and be. For girls, many of the most powerful influences come from the media, but young girls could find relief among the real people in their lives. Social media has changed the game, requiring educators and parents to also change strategies to help girls navigate complicated waters. “There's nothing I talk about practicing with girls that doesn’t also apply to boys,” said Simone Marean, CEO of Girls Leadership, a nonprofit working to help girls find and raise their voices. Marean spoke at the Innovative Learning Conference hosted at The Nueva School in Hillsborough, California. Marean is raising two sons, so she knows many of the skills her organization teaches are important for all humans, but she also recognizes girls and boys are still socialized differently. “There are reasons why the expectations of girls make it particularly important that we practice this with girls,” she said. A growing percentage of girls feel pressure to please everyone in their lives, according to a nationwide survey conducted by Ruling Our eXperiences (ROX). The college application process is more competitive than ever and the comparative culture on social media is always present. “The pressure is greater, but they’re also experiencing it more and more each day as the time on media increases,” Marean said. Some studies show the rate of depression and anxiety increasing more rapidly among girls, and social media culture has heightened the sense among many girls that they must be perfect, presenting a pleasant, well-behaved, curated persona to the world. “Girls are focused on all these other people and they’ve lost track of themselves,” Marean said. She sees the same patterns from early elementary school girls through high school. And while social media has the potential to amplify damaging messages about bodies, perfection and beauty that have long existed, it would be too simple to ban digital devices. Marean points out when educators and parents act from a place of fear they tend to go to extremes, alienating the girls they love in the process. Instead, she advocates for helping girls gain the skills to navigate these spaces with a different script. She says it’s crucial that adults start helping young girls to engage in productive conflict, acknowledge and grow from mistakes, develop emotional intelligence and take responsibility for the role they each play in social situations. While these are concerns for many parents, educators can also help girls develop skills to cope with these modern problems -- and doing so could help with academics, too. “Relationships are integral and foundational to mental health and wellness,” Marean said. “When relationships are struggling there’s no way to take care of the next level of thinking.” Middle school teachers know this better than anyone -- when students are dealing with social drama, they have a lot less mental space for academics. Girls can’t express how they feel effectively until they take time to notice and name their feelings. Marean says girls know they are supposed to feel happy, calm and confident, so they disrespect their other emotions. Many don’t even have the language to talk about more complicated, nuanced and less sunny feelings. But when girls name how they feel in a situation, they can recognize that it’s the situation, not them, that’s the problem. That opens up a wider range of options for how they handle that situation. One way educators and parents can help girls to develop an emotional vocabulary and give permission to feel less than “perfect” feelings is with role modeling. When girls hear that the important adults in their lives also feel excluded or jealous or hurt, it normalizes those complex feelings. And, when a girl comes home talking about a difficult social experience, adults can help her build empathy by asking how the other person might have felt in that interaction. Educators at the Girls Athletic Leadership Schools (GALS) in Denver are folding emotional intelligence into the core of their academic program. This all-girls public charter school is recognizing that the broader social and emotional skill set being discussed in many areas of education are most effective when contextualized to the lives of specific students groups. Gender is one layer of identity, but the messages girls receive about gender are situated within a broader context of race, class and cultural values. “A big part of our program is girls being able to find their voice and say who they are,” said Lynnsey Gwaltney, the eighth-grade teacher of a class called GALS Series that covers topics like nutrition, well-being, identity, healthy sexuality and knowing one’s boundaries, among other things. This course is given the same weight, and time, as academic classes at the school. At the start of the school year, teachers of GALS Series do a lot of relationship-building. They play icebreakers and run around together, do writing exercises and slowly build an environment where students feel comfortable talking about sensitive issues. 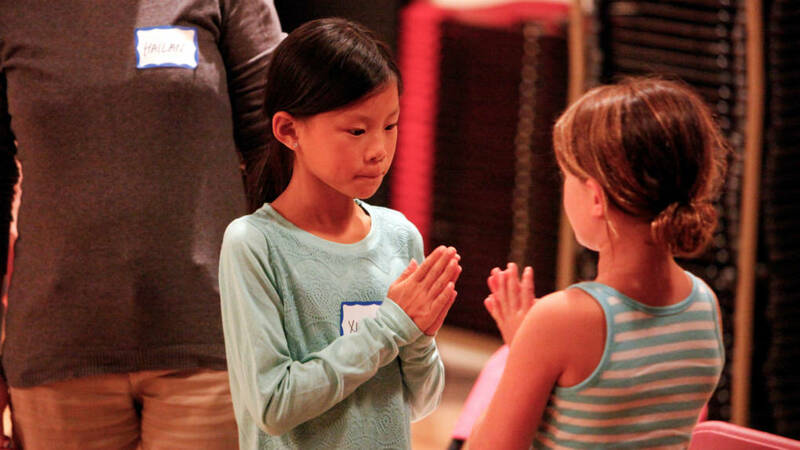 They often practice role-playing conflict resolution -- a Girls Leadership staple -- and even ask students to bring real situations of conflict to the group for workshopping. Social media is a big part of the conversation throughout middle school. In sixth grade, students are often watching things they don’t really know how to handle. A good example is a trend toward parody videos meant to be funny, but that are actually quite nasty. Together the class talks about how those videos make them feel and some productive ways to handle the emotions elicited. GALS Series teachers have also done a lot to help students find their voices when talking with adults. And, they’ve found that the curriculum they developed in-house has to spiral throughout middle school because the conflicts a sixth-grader encounters aren’t the same ones an eighth-grader experiences. It’s worth covering conflict resolution, emotion-naming and social media issues again in the new context. “We support students in bringing it to the forefront and dealing with it in a healthy, productive way as opposed to it existing under the surface as this shady, passive thing,” said Maggie Dickman, the sixth-grade GALS Series teacher. “We deal with conflict.” Role-playing how to handle conflict, normalizing it and demonstrating the good that can come out of direct confrontation is really important for girls. In over 15 years of working with girls of all ages, Simone Marean has found that many believe conflict is bad. Girls are often raised to be socially aware and connected, so friendships are extremely important to them. Marean has found that girls from third grade through high school say the same thing about what it means to be a friend: like all the same things (or hate the same things), do everything together and never fight. That’s an unrealistic expectation for friendship and it doesn’t help equip girls for feelings of jealousy, anger or hurt that are regularly part of healthy relationships. “Conflict is going to happen all the time,” Marean said. “Conflict is part of a normal, healthy, functional relationship. This is how we get things to change.” The challenge is helping girls to see it that way, to not be afraid of it. She cautions that if kids don’t learn how conflict can lead to positive change from the adults in their lives, they’ll learn about it from friends online. And online there’s no eye contact, no tone of voice, and things can get nasty. “Role play is the only way to talk about the how of communication,” Marean said. When a girl comes home upset about something that happened at school, it’s a normal parental reaction to want to take away her pain and get angry on her behalf. But that doesn’t help her develop the skills to deal with the situation. Instead, Marean suggests offering empathy and asking questions about what she wants to do next. At this stage, many younger girls aren’t good at immediately articulating the result they hope for; instead they often go straight for what they want to do. This is where an adult can help them think through how a gut reaction might play out. Role-playing the situation gives the girl a chance to try out the words and debriefing solidifies it. “The number one fear I hear from parents around teaching their girls to have a voice is that what if she does it all and she doesn’t get what she needs? What if her voice is not heard?” Marean said. Her answer: that’s all right; her voice won’t always be heard. But the experience of expressing it can be empowering and it’s a first step. Marean also points to the idea of “contribution” raised in Bruce Patton's book “Difficult Conversations.” Both parties in a conflict contribute to it, so when mediating each person should come to the conversation aware of the ways he or she contributed to the situation. That helps remove some of the right or wrong feeling. “Students often say to me, there are so many girls who need this and we want to take it to them,” said Ife Bell, coordinator of the Girls to Women program in Cincinnati Public Schools. Bell works on many of these issues with small groups of girls at several schools across the district. The program she runs comes out of a recognition that outcomes for girls living in poverty are often just as poor as they are for boys. The district wanted to focus on helping to empower its young women. Bell uses aspects of the Girls Leadership program in conjunction with another girls empowerment curriculum called Sister Accord. Bell’s approach to her program is one that Girls Leadership has been pivoting to over the past year, in recognition that while a gendered approach to social and emotional skills is necessary in all contexts, how the curriculum plays out may be different in various communities. The original Girls Leadership materials were designed with a white, middle-class lens. Some of it makes assumptions about people’s values and experiences. Marean says the organization is in the midst of a pivot to listen and learn from a diverse set of communities about how to make what they offer more effective in all contexts. Part of the shift revolves around recognizing the strengths different girls bring to any situation, and letting them lead the process of delving into specific experiences and scenarios they confront. “Girls are dealing with a lot of the same things, no matter where they live,” Bell said, although she acknowledges young women growing up in poverty may have experiences they’d like to discuss in addition to the more universal ones. That’s why she works with student leaders in her groups to co-design the activities the Girls to Women facilitators use. In that process, Bell often looks at the scenarios offered by Girls Leadership, which can seem aimed at a white middle-class audience, and have students tweak them until they feel authentic. For example, there’s a role-playing scenario where Jessica and Brittany are talking about spring break at basketball practice. Jessica says she’s going on vacation to Florida with Marybeth’s family, but Brittany has always spent vacations with Marybeth. That example didn’t feel very authentic to Bell or her students, so they changed the names and flipped the scenario in various ways to include a family with only one parent, or a girl who lives with her grandmother, or a girl who hasn’t ever been on vacation before. Sometimes Bell gives a group all the scenarios. “I want them to see that addressing the conflict doesn’t use the same skills every time,” Bell said. She wants students to feel they have a variety of conflict resolution tools to rely on, no matter the situation. One thing Bell wasn’t expecting was how powerful facilitating these conversations would be for herself and the other adult facilitators. Often the emotions, scenarios and strategies are ones adults can use, too, and perhaps never learned. “One of the learnings is a lot of times when women don’t feel empowered to say what they really want to say, they just stop talking,” Bell said. She found an activity illuminating where she wrote down what someone said to her, and her response, along with what she really wanted to say. She began to reflect on how she could communicate more effectively about her emotions at work and in her personal life. “We often speak our outside feelings instead of recognizing our inside feelings,” Bell said. For example, she might say, “I’m mad,” but the other person can’t do much with that. Underneath the feelings of anger are disappointment, fear, hurt or other emotions that can more effectively convey a possible next step to the other person. Marean says Bell’s personal experience with the materials is common among the adults who bring their girls to Girls Leadership workshops. “We have to help the adults look at their own backgrounds and what were the gender expectations in their childhood, in their culture, in their socioeconomic background, because we’re not going to be able to help our girls if we can’t see it ourselves,” Marean said. 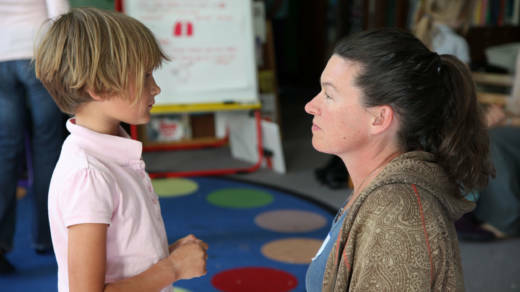 Schools across the country are beginning to recognize that social and emotional skills are important to lifelong success in school and beyond, but how to effectively teach those skills in school and at home is more of an open question. Schools like GALS and programs like Girls to Women and Girls Leadership make the case that while the same conflict resolution, communication, emotional intelligence and empathy skills are needed by all kids, regardless of gender, the ways kids experience the world are still different. As much as we’d like to believe the world is an equal place, with the same opportunities for everyone, the fact remains that context matters.